Welcome to this website! A Summer Skimmer is one of many nicknames for a dragonfly. I think of them as being sturdier than butterflies but still beautiful; transformative as they change from water-based nymphs to air-based adults ; and a mobile link between Earth and the heavens. In my own writing, I look for practical beauty, transformative stories and an exploration of what lies beyond what we see. 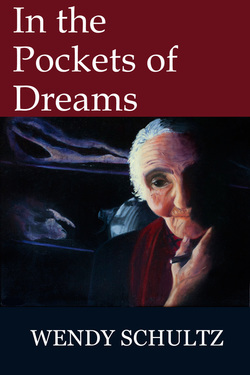 In the Pockets of Dreams is available in softcover on Amazon or in ebook version on Amazon, Barnes and Noble, Kobu and the iTunes Store. My name is Wendy Schultz. I am an award-winning journalist, a freelance writer and an author. Actually, that's not who I am-- it's what I do, among other things. To find out more, please explore the website.